Join us for a unique art event where you get to Define the Moment. Normally, we look to the artist to explain their work, but this time we want you to decide what moments you think three different artists are capturing in their art. 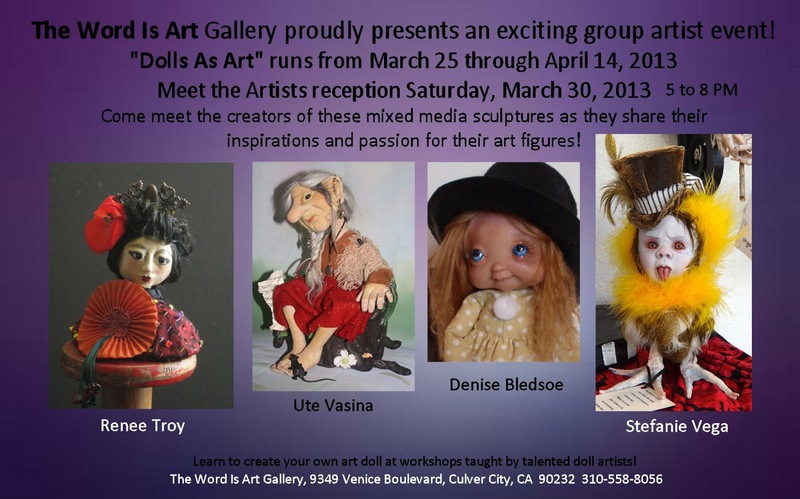 Also on our March calendar is an Art Doll Exhibit, “Dolls as Art”, starting on the 25th through April. 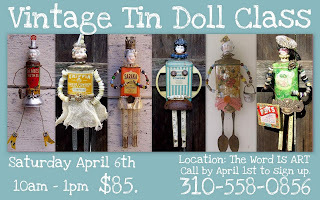 These handmade, one of a kind dolls are made from a variety of materials ranging from fabric, polymer clay , air dry substances such as PaperClay and taxidermy. These are not dolls for children to play with but sculptural in design making them art treasures. We will be hosting a “meet the artists” event on March 30th from 4-8 p.m. In April we start some of our many art classes at the gallery. The first 2 of which will introduce 2 forms of doll making in honor of our doll event. Both these classes are on the same day, Saturday, April 6th, back to back. These are enormously fun and you come away with a finished product. 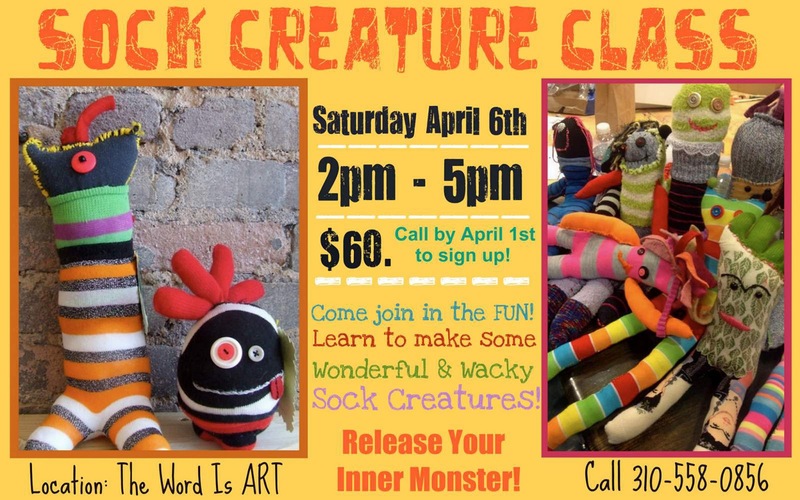 The sock creature class will be fun to take your child or grandchild to. 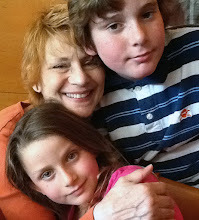 I’ve done it with my 8 year old grand daughter and had a memorable time. All you have to do is show up for these classes as all materials are included in the fee. 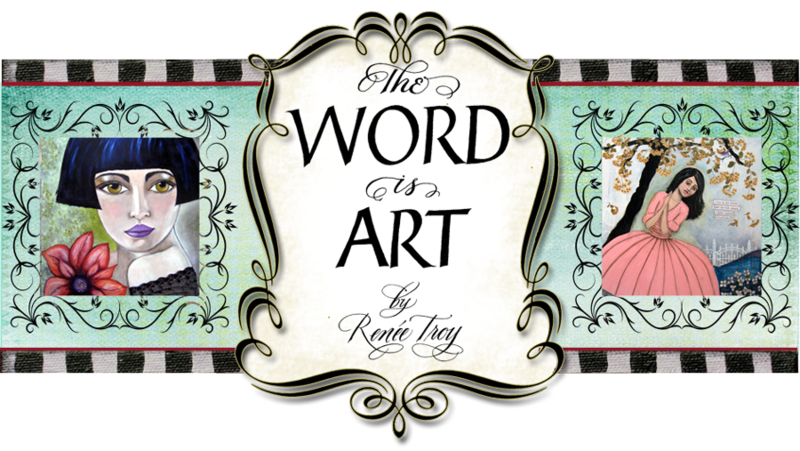 Or, you can stop in The Word is ART Gallery, pick up a flyer and sign up there. On April 15th, we are excited to have LEK Namnath who transforms her love and talent of fine art into one of-a-kind wearable fashion apparel. Her fabulous hats alone will have you indecisive as to which one looks the best only to purchase more than one. I know from experience. 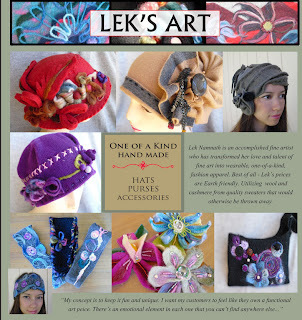 Lek will have a trunk show on Friday, the 19th from 4-8 so if you want to meet this wonderful artist, mark your calendar. If all this wasn’t enough, we have one more guest spot to announce. 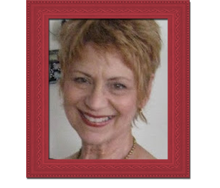 Our very own Karrie Ross will be our featured artist staring on April 15th and will be featured in our windows. See Karrie’s vibrant art here…. We are in for a full month of art my friends. I do hope I’m not scaring you away with too much art activity. I sometimes over do things but I’m also trying to be fearless and take advantage of opportunities coming my way. I'm sure some will say "What, is she crazy?!" and some will say that I am brave to take this on. Depending on the day, I've said those exact words about being crazy to myself. And, some days I feel brave and proud. I guess it's all relative. I just want it all to get easier. At least, that is my intention. I figured 2 intense years of learning curves, falling down and picking myself up, feeling scared and feeling fabulous will be the norm and maybe all in one day. All I know is, that in the end, I will be able to say, "I did it" and hopefully with no real regrets.